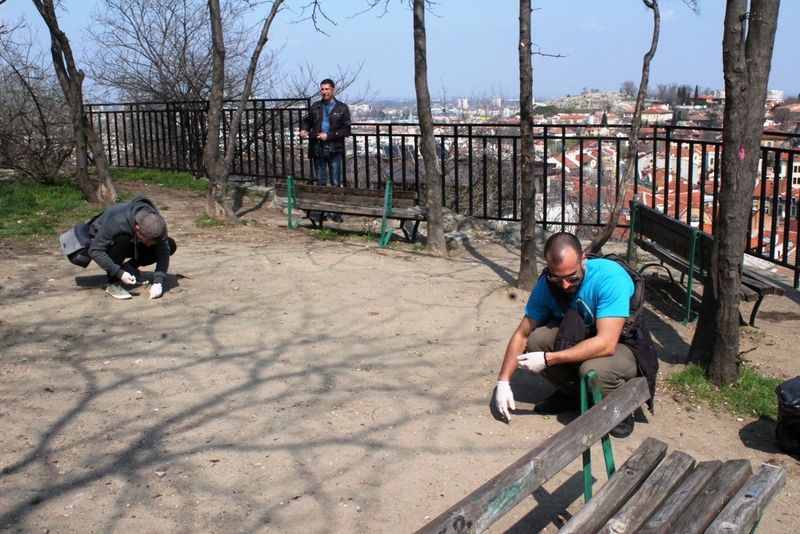 On the 21st of March, BG Be Active in cooperation with local activists, headed by Diana Mendeva, took part in cleaning the territory around the clock tower “Sahat Tepe”. 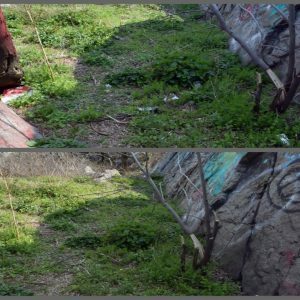 Artem Prilepin and Jose Manuel Llopis Ortiz are the two volunteers who, under Violeta Nikolova’s supervision, reached the top of the hill and its surroundings in order to make one of the landscapes shine again. Ecology plays an inevitably important role in our society, especially in Bulgaria and Plovdiv, as the city was chosen to be the cultural capital of Europe in 2019. Even though the thorny bushes and slopped ground got in the way, the volunteers and their comrades managed to harmlessly gather parts of the litter scattered around the hill and its clock tower. Regardless of the obstacles, the day was quite shiny and warm enough to carry out the given task. 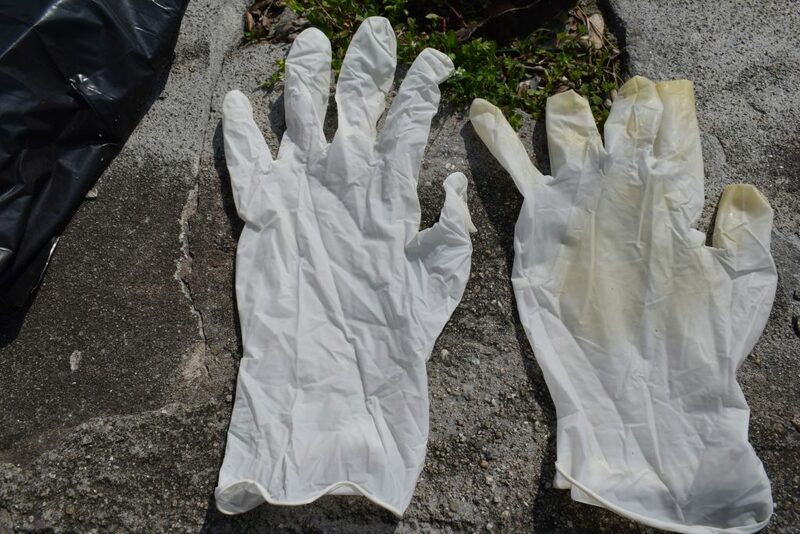 After short discussion, with a smile, the participants got gloves and sacks, teamed up and got to work. Sometimes newcomers (volunteers) get distracted by great views they open from different angles walking around. And at the same time new people come to help. Some of them seemed uninformed about what was going on, but they voluntarily joined the group. Although time flies by and the clock tower let you know that an hour passed, the working people didn’t even think to stop. The result is always noticeable under one condition, but it requires patience. This condition is consistency. Your gloves might get wet in a second when you pick up a bottle, but it’s like extracting unhealthy colors out of the ground. It’s a great way to keep track of how far you have gone. “This is some kind of work people don’t do regularly or don’t do at all in life, but we can change it with our passion and efforts. Sometimes this problem gets me thinking what is going to be in the future and I first started thinking of this seriously when, at the time when I was a P.E. teacher in Russia, my students cleaned up the mess around the school. I noticed how unexpectedly such things can run into your life and how much it can shift your perception. I was inspired by that and now I’m really glad to have made my contributions in this field here as well. If all people picked up a piece of litter every day, we would see the world in a different way”. “It’s been really nice to join this activity today! I really love healthy lifestyle and support it in all forms, cleaning included. In doing so, we help ourselves be disciplined, tidy and, of course, respectful to one another. I think respect is our main foundation that unites every part of our lives. Today we did a great job and this isn’t the end”.